Looking to stuff your itinerary? The attractions to visit in Salt Lake are as varied as our visitors. Enjoy animal antics and winged wonders at Salt Lake's zoos and gardens in Salt Lake. 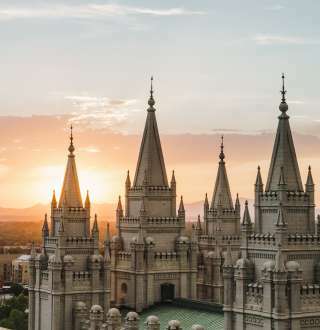 Go sightseeing and check out Temple Square (our most visited attraction) or the Great Salt Lake. Go on a scenic drive as you travel to relive the glory at Olympic venues or take in the arid beauty of the Salt Flats on your way to Wendover's casinos. If you're looking for something a bit further out of the way, visit one of fifteen national parks and monuments, all within a day's drive. If you want to catch some nature a bit closer to your meeting, take a break from sightseeing to let off some steam and run around at local parks. Once you're meetings are out for the day, treat yourself at a spa or salon, to really round out your trip. If you want a general overview of Salt Lake, check out some guided tours to start off (or end) your Salt Lake adventures.